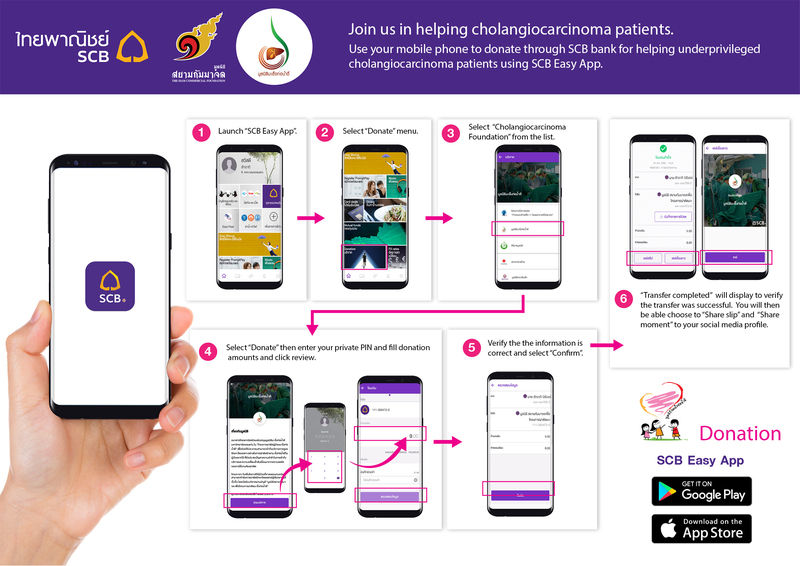 If you are a Siam Commercial Bank customer you can donate to our foundation via SCB Easy App or when by visiting an SCB ATM machine. 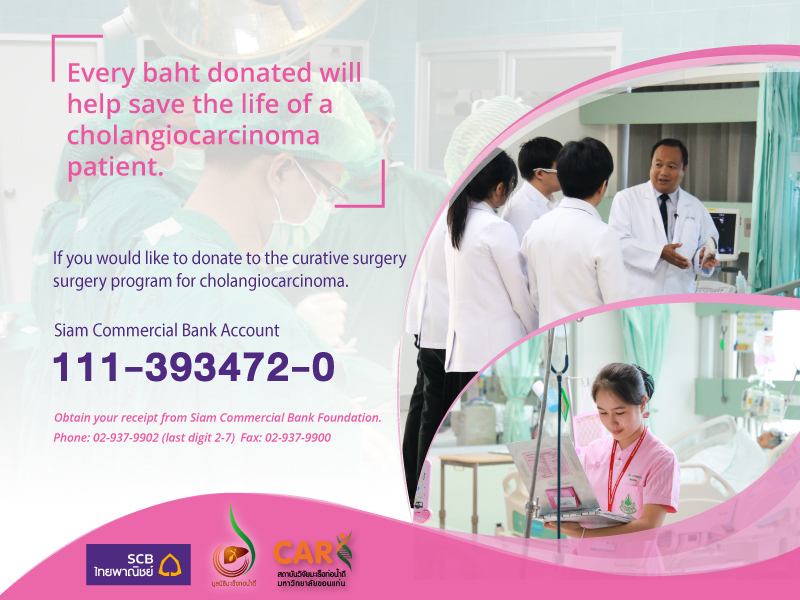 Every baht donated will go directly to helping cholangiocarcinoma patients. These programs are a collaboration between our foundation, Siam Commercial Bank, and Siam Commercial Bank Foundation.